South Florida rappers Wifisfuneral and Robb Bank$ drop a visual for “Can’t Feel My Face.” This is a cut from their joint project “Conn3ct3d,” which is out now. Watch the new video below! 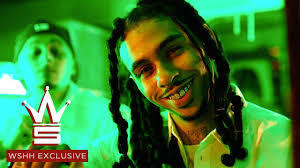 Be the first to comment on "Video: Wifisfuneral & Robb Bank$ “Can’t Feel My Face”"